New Delhi: AIIMS Director Randeep Guleria inaugurated an online platform on Monday to provide data on the cause of deaths in the country which helps the government plan and monitor the effectiveness of its health programmes. The premier institute has developed the platform for the Registrar General of India Office, the Ministry of Home Affairs. The RGI office had signed a MoU with the AIIMS last year to provide technical support for its Sample Registration System-based verbal autopsy. The SRS (Sample Registration System) is the single most important source of data on annual demographic indicators including causes of death in any country. Under this system, close caregivers of the deceased identified under the SRS are interviewed and they fill up a predesigned form used by trained physicians to arrive at the cause of death, a senior AIIMS official said. This system has been necessitated by the fact that most deaths in India, especially rural areas are not medically certified. The platform is fully developed by the AIIMS and enables physicians to review the verbal autopsy form and enter the cause of death in the form of a standard international code sitting at their office, the official said. It also has an online training platform for doctors to learn about the system and on how to arrive at and code the cause of death. The platform is called Minerva (Mortality in India established through Verbal Autopsies). The cause of death data is critical for governments to plan and monitor the effectiveness of their health programmes. This system has been in place since 2001 but till last year it was managed by an international agency. “About 400 doctors have already registered with the system which will start coding of the verbal autopsy forms from next week,” the official said. 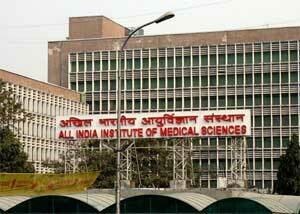 The AIIMS will provide additional support in the form of training to conduct the verbal autopsy, training physicians to code the cause of death and development of an IT platform for training and coding. In future, hand-held computers are planned to be used for the collection of data.